For two years, between October 2014 and March 2016, diners at Odeum, a high-end restaurant in Morgan Hill, California, paid a premium to indulge in petrale sole, a fish renowned for its delicate flavor and texture. What they actually got? Tilapia, an inexpensive fish that's been nicknamed the "aquatic chicken" for its widespread availability (it's the second most commonly farmed fish after carp) and broad appeal (it's known for having a mild, inoffensive flavor). If you're wondering how a seafood bait and switch like this could be legal, it's not. In the case of Odeum, a suspicious guest complained to the Santa Clara District Attorney's Office, triggering an investigation into the restaurant's fishy practices. In the end, Odeum was required to pay $120,000 in penalties. They also offered a $30 gift certificate to duped diners, though it's unknown how many took them up on the offer. Odeum's hardly the only business conning consumers. Last year, the Washington State Attorney General's Office busted two area sushi restaurants: One tried to pass off escolar (aka the Ex-Lax fish, for reasons you can probably guess) as so-called "white tuna," while the other served tilapia masquerading as red snapper. This kind of fish fraud happens routinely across the country, yet it often goes undetected, says Demian A. Willette, PhD, a biology instructor who runs an applied ecology lab at Loyola Marymount University in Los Angeles, California. Willette adds that it's difficult to quantify the extent of the problem, though he and his colleagues are determined to keep trying. Over the course of four years, Willette and his fellow researchers sampled fish from a variety of Los Angeles sushi restaurants along with three high-end markets. Using an identification technique known as DNA barcoding, they discovered that fish was being mislabeled 47 percent of the time at restaurants, and 42 percent of the time at markets. Similar research has been done all over the country and the world, and the findings have been "all over," admits Willette. At least 15 studies have used DNA barcoding, including Willette's, and the percent of fish being mislabeled ranged anywhere from less than 2 percent to nearly 80 percent (probably thanks to differences in research methods or sample size). Willette believes it's fair to estimate that half the fish consumers buy and eat probably isn't what they think it is. Why Is Mislabeled Seafood So Rampant? "There are several different kinds of seafood 'fraud,'" says Steven Wilson, deputy director of the Office of International Affairs and Seafood Inspection for NOAA Fisheries. "True fraud means you intended to deceive someone. But when you hear that something is 'mislabeled,' it might or might not be intentional." NOAA—the National Oceanic and Atmospheric Administration—is a U.S. government agency charged with protecting marine ecosystems as well as supporting commerce, among other efforts. NOAA Fisheries, in particular, promotes safe, sustainable practices and works to ensure that both U.S. and domestic fisheries are complying with U.S. regulations. In order to understand the nuances, it first helps to learn a little about how seafood gets from the water to your plate. Unless you're catching your own fish or buying it directly from the fisherman who is, chances are that piece of tuna or salmon has traveled quite a ways before reaching you. "In the United States, we import about 90 percent of the seafood," says Ryan Bigelow, program engagement manager for Seafood Watch, an arm of the Monterey Bay Aquarium. In some instances, fraud starts pretty high up in the supply chain. Importers must pay fees when they bring fish into the country, and the amounts vary based on type of fish and country of origin. These duties and tariffs are designed, at least in part, to promote sustainability by limiting over-fishing of certain species and in certain regions. "You could have entire shipments that are coming in and trying to get around a tariff by declaring something different," which might mean that someone lies about the type of fish or its country of origin to save money, explains Wilson. Such deception could save "thousands or tens of thousands of dollars," he says. The company that processes the fish—a substantial portion of fish caught in the U.S. is exported, processed abroad, and brought back to this country—might also fib, and not just about the type of fish or where it's from. "The most common problem is not species substitution; it's short-weighting," Wilson says. "Let's say you sell a 'pound' of shrimp, but it's frozen and after you thaw it out and the water disappears you only have about 13 ounces. That's about 70 percent of the [fraud] problem, in our estimates." Package mislabeling—such as claiming that a fish is "wild" when it was actually farm-raised—is also illegal, yet some studies suggest it happens often. 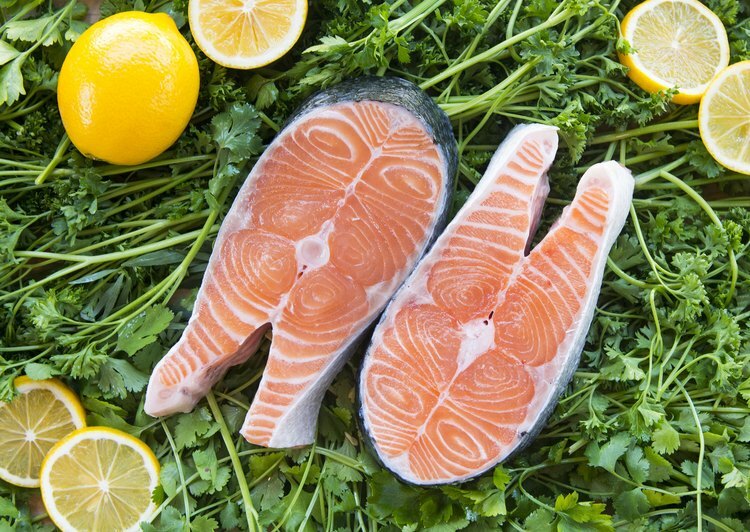 One study, from Oceana, found that 43 percent of salmon sold in restaurants and grocery stores was mislabeled in some way; of those 43 percent, 69 percent involved farmed Atlantic salmon being sold as "wild" salmon. Misrepresenting a fish's country of origin is another problem. One study, published in PLOS One, found that some Chilean sea bass that was supposed to have come from a certified fishery in South Georgia, near Antarctica, actually came from Chile—and was much higher in mercury. As for the issue of species substitution—aka labeling one fish as another—wholesale seafood distributors do sometimes commit this type of fraud, and, at least occasionally, get caught. In 2011, the Department of Justice charged an Illinois company with mislabeling fish; the owner was fined $100,000 and given five years' probation. 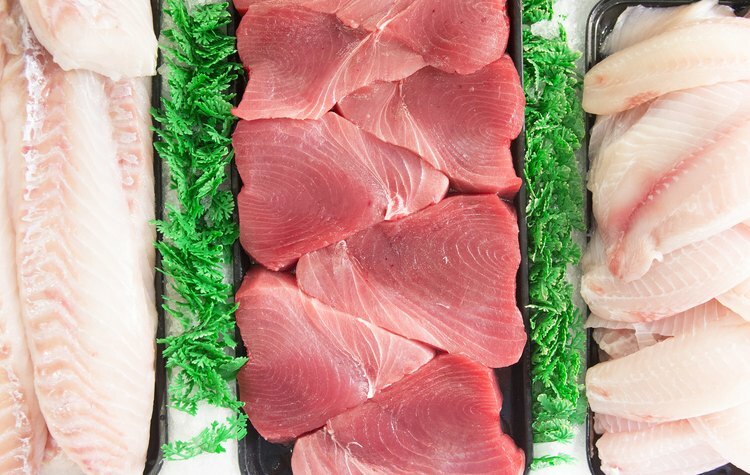 It's also worth noting that the FDA recently conducted DNA tests of some of the fish best known for being mislabeled and substituted—such as cod, haddock, snapper and grouper—and found that 85 percent of the time they were being labeled correctly at wholesale. If 85 percent of fish are correctly labeled at wholesale yet only half are correctly identified by the time you eat them, it's not hard to surmise that something is more apt to go wrong at the retail level. In fact, the further you get down the chain from water to plate, the more likely you are to be given the bait and switch. 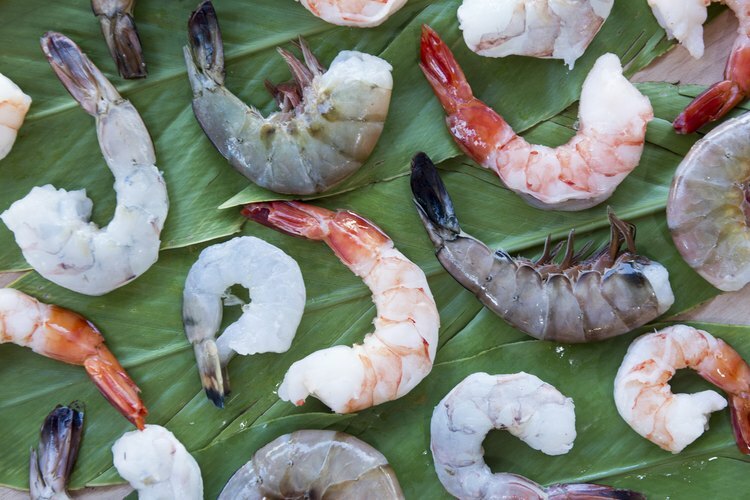 Oceana, a non-profit "dedicated to protecting and restoring the world's oceans," has conducted a number of investigations into various types of seafood fraud. 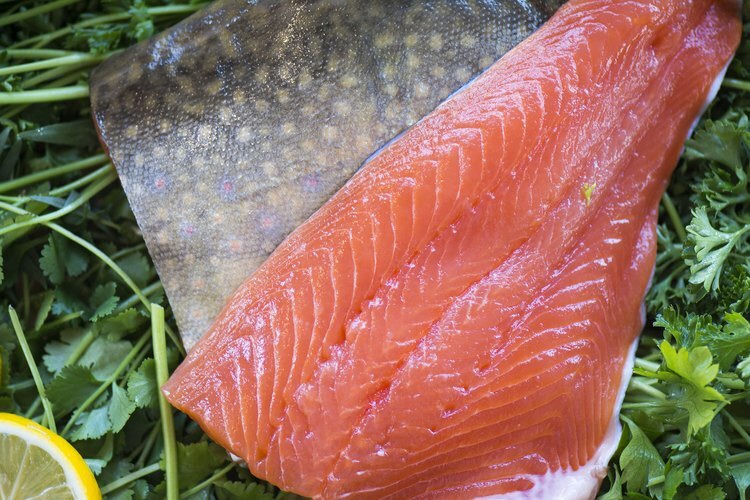 In one report, released in October 2015, the group delved into the mislabeling of salmon and revealed a series of common deceptive practices, such as farmed salmon being described as "wild." Yet, if you're looking to point fingers somewhere, the most telling stats might be these: Twenty percent of salmon sold in grocery stores was mislabeled in some way; in restaurants, that number jumped to a whopping 67 percent. Gavin Gibbons, vice president of communications for the National Fisheries Institute, an industry group, isn't a fan of most of Oceana's work and suggests that the group sometimes "distorts their facts" to cast a pall over eating seafood in general. But he agrees that deception, when it happens, is much more likely to occur the further you get down the chain. "If you're at the dock and the guy is saying 'this is a salmon,' well, it hasn't been headed and gutted at that point so you know what it is," he says. The further you get from a whole, intact fish, the easier it is to dupe a customer, whether such deception is accidental or intentional. "We saw a case [in a restaurant] where someone ordered salmon and got bluefin tuna," says Willette, despite the fact that those two fish look and taste pretty different, even after being filleted. "Once there are sauces and garnish involved, you might not even notice." So why would a restaurateur want to deceive customers? Sometimes, they actually don't, and it's a simple slip-up in the kitchen or they're the ones being deceived, notes Gibbons. "The restaurant [purchaser] could be saying, 'I got a great deal on grouper,' but you didn't get a great deal; you got a bunch of tilapia." Willette notes that language barriers may also play a role. "A lot of sushi restaurants are run by Japanese restaurateurs, and the Japanese name doesn't always translate into something that's acceptable according to the FDA," he explains. Hamachi, for instance, is the Japanese word for yellowtail. But it's also the Japanese word for amberjack. "If you put hamachi on the menu and someone thinks it's yellowtail but it's actually amberjack, that's incorrect" per the FDA, says Willette. "A lot gets lost in translation." In other cases, however, a restaurant may intentionally be trying to pull one over on customers in order to up its profit margin. According to the FDA, economic deception occurs when a less-expensive fish is swapped in for a pricier one. That's why the "scallops" on your plate might really be skate wings, "dover sole" might be arrowtooth flounder, and "red snapper" could be rockfish. Similarly, you might have a deceitful chef who bought too much of something—say, catfish—and wants to unload it quickly, so he calls it something else that he believes will be more attractive to customers, says Laurel Bryant, chief of external affairs for NOAA and co-manager of Fish Watch, NOAA's tool designed to help consumers choose more sustainable seafood. Obviously, no one likes being tricked into paying more for a cheap "knockoff" (like tilapia for petrale sole). But beyond the hit to your wallet, mislabeling and sneaky substitutions could also undermine your attempts to eat more sustainably. If conservation is important to you, then you'd rightfully be upset to be served imported mahi mahi (which Seafood Watch says to avoid because of environmental concerns) instead of the U.S.-sourced mahi mahi you thought you were getting. There are potential health implications that come with the fraud, too. If you're allergic to certain fish but not others, you could have an adverse or even life-threatening reaction. Or if you buy farmed salmon when you believed you were choosing the wild variety, you might be exposing yourself to higher levels of contaminants, including PCBs. And although it doesn't happen often, there have been cases of serious illness outbreaks tied to fish mislabeling: In 2007, people in multiple states became ill after a toxic variety of puffer fish was allowed into the U.S. because it was falsely labeled as headless monkfish. 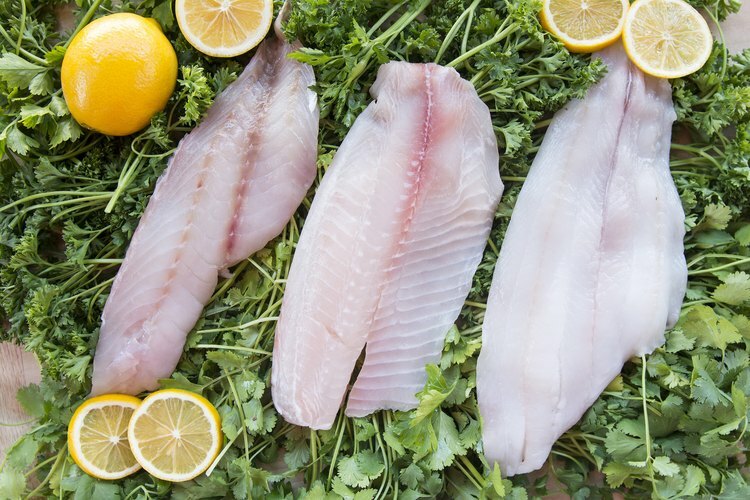 Willette adds that olive flounder, which frequently stands in for halibut, has resulted in outbreaks of gastroenteritis. Escolar, which is often sold as "white tuna," can also leave you with stomach troubles. The fish contains an oily substance called gempylotoxin that humans can't digest—and consuming it leads to an unpleasant laxative effect. Mercury may be a concern, too. Pregnant women and young children are often told to limit their intake of fish that are high in mercury, such as swordfish and bigeye tuna. Gibbons says fish that are higher in mercury also tend to be more expensive. "You'll never order tilapia and get swordfish," he says. "That's not going to happen." But there are, of course, exceptions: Tilefish, for instance, is sometimes served in lieu of halibut and red snapper, according to Oceana, and both the EPA and FDA advise pregnant women and young children to avoid tilefish entirely. If all of this has you scrunching up your nose and committing to eat more chicken (not of the sea), that's a mistake, says Bryant. "It's a complicated issue, but fish is incredibly healthy, and it's the most environmentally-sound protein source on the planet," she says. That's especially true for seafood that's been fished domestically, where fishermen face "very stringent laws" to promote sustainability. Bryant adds you shouldn't shy away from farmed fish, either. "Modern aquaculture is not what it was 40 years ago. We know how to do it right, and we do it very well in this country," she says, adding that there's a limit to what we can harvest in U.S. waters—hence the need for both farmed fish as well as imported seafood. Bryant is quick to say that she doesn't want to "ding imports," since foreign-sourced fish makes up an important part of our diets and contributes substantially to the economy. But she does raise a logical point, which is that the closer you get can to the source of your fish, the less room there is for things to go awry. Willette agrees: "When it comes to fish from U.S. territories, the supply chain is shorter and there's better oversight." Aside from choosing domestic—which isn't always possible—you can check out Seafood Watch's list of recommended "eco-certification" programs, which Bigelow says speaks to both sustainability as well as traceability. One such program, from the Marine Stewardship Council (MSC), says that their label confirms that the fish is both sustainable as well as correctly labeled. But what about in restaurants, where species substitution is difficult to detect? Willette encourages diners to ask questions. At high-end restaurants, in particular, someone should be able to tell you where the fish came from and even when it was caught. You can even find some establishments on the coast that are truly committed to local and sustainable seafood — there, the chef might even spend time on the docks with the fisherman. That's the goal of programs like Dock to Dish, the seafood twist on farm-to-table dining. The group connects local fisherman with nearby restaurants to ensure "fresh, premium, locally harvested, fully traceable seafood." Seafood Watch also maintains a list of trusted providers—including restaurants, retailers and even meal-delivery services. While being on that list doesn't guarantee label accuracy, the companies on it "have had to dig in a little further and do their homework," so the chances of them intentionally defrauding you is lower, says Bigelow. Bigelow also suggests checking out community supported fisheries, which are similar to CSAs (farm shares) and can grant you direct access to fresh, local seafood. Local Catch, for instance, now has more than 422 locations throughout North America. Scientists like Willette are also at work on new endeavors aimed at detecting fraud and improving traceability. His latest effort: The Los Angeles Seafood Monitoring Project, in which he and his colleagues will be randomly conducting spot-checks of seafood at area restaurants. Local restaurateurs, the FDA, Oceana, a seafood import/export company, and the California Department of Public Health are all involved. "There's no magic bullet," says Willette. "But I think we're going in the right direction." Photographs shot by Aliza J. Sokolow at Santa Monica Seafood. The staff at this seafood market and cafe work closely with their suppliers, farmers and fishermen, scientists, policy-makers and other industry experts to ensure best practices when sourcing seafood.